Lacuna Coil have recruited Daniel Sahagún as temporary guitarist for the band following the recent departure of Marco "Maus" Biazzi. 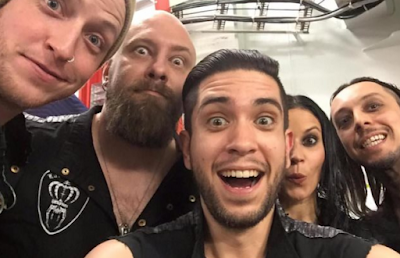 Daniel made his live debut with Lacuna Coil during this past weekend's 70000 Tons Of Metal cruise. You can watch some video below.